Out With Da d is participating with the IWCC in Social Media Week Toronto. Join us for screenings of Out With Dad, Ruffus the Dog, Pete Winning and the Pirates and more! 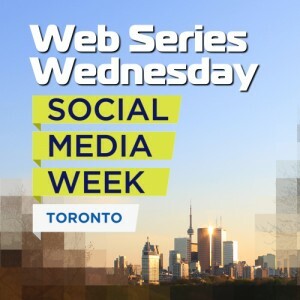 Meet the cast and crew of Out With Dad and many others in Toronto’s exciting community of web series creators for Web Series Wednesday, brought to you by the Independent Web Series Creators of Canada. 7:00-8:00 pm: The Family Hour hosted by our very own Kate Conway, with Rob Mills, Ruffus the Dog and Mike Donis.